New Jersey was known as the ‘Pathway of the Revolution.’ This is because over 100 battles were fought on New Jersey soil as the battlefield. New Jersey was also the first state that signed the Bill of Rights. The State House is the second oldest (second to Maryland) in America and is still functional to this day. When it comes to sports, New Jersey has been one to witness the beginnings of household American sports. The first organized baseball game was played in Hoboken, New Jersey in 1846. Also, the first ever professional basketball game was played in Trenton, New Jersey in 1896. New Jersey is home to more than 9,800 farms which covers up to around 790,000 acres of farmland. Properties displayed on the American version of the popular board game Monopoly are all named after the streets in Atlantic City, New Jersey. The Real Estate markets in New Jersey have been steadily increasing over the past few years. But luckily, 2018 will see the price growth in the housing market start to finally wind down. Compared to the 5% increase in the past year, the increase in prices for houses this year is predicted to be as low as 1.5%. 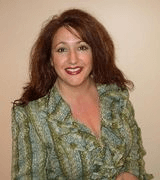 Joelle Chillazi, is the most renowned real estate advisor in the Hudson and Bergen County. And rightly so, because she was raised in Bergen County and has been a resident of Jersey and City and the Hoboken area since the 1990s. She is a long-term resident of the area, and well versed with the lay of the land and knows all the intricacies of real estate in the area. Furthermore, Joelle has lived in places like Washington DC, London, Atlanta, Hong Kong and Buenos Aires. A graduate and undergraduate from NYU she is also an alumnus of Parsons School of Design. With over 20 years in a wide array of professional experience, Joelle joined Keller Williams in 2014. Before her successful career in the domain of real estate, Joelle has had extensive experience in the music industry and the field of international diplomacy. Because of her experiences in International Diplomacy as well as living all over the world, she understands the struggles of home seekers trying to find a place to stay in a foreign land. It is with this knowledge, she intends to provide the best and safest experience for potential buyers or sellers when it comes to purchasing a home. 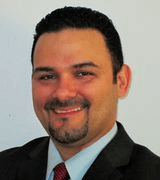 Yoe Lopez has been a household name in the real estate business for the past 14 years. Since 2004, Yoe has been instrumental for buyers and sellers to achieve their goals in terms of real estate. Yoe’s Real Estate roots stem from his early experiences with Century 21 where he made a name for himself in the Hudson County and spread to Bergen and other Counties. He currently works with Better Homes and Gardens Rand Realty, a company that seems to be on the rise in the Tri-State area thanks to their breakthrough marketing technology and services. Yoe implements his company’s core philosophy of C.O.R.E (Client Oriented Real Estate) which has been extremely effective in completing objectives for buyers and sellers in New Jersey. Arthur ‘Art’ Kaufman is a specialist when it comes to the sales of luxury waterfront condominiums. He is also proficient in sales of multifamily buildings and brownstones in the Hudson County. He holds a special focus in the Hoboken, Jersey City, Journal Square and the Jersey City Heights areas. Arthur has a large reach in property handling in areas like West New York, Secaucus, Weehawken and its surrounding communities. A reputed real estate agent in his own right, Arthur had completed sales worth of around 14 million dollars in the year 2016 alone. Another feather in his real estate hat would be that he has been added to New Jersey Association of Realtors Circle of Excellence for five straight years. Arthur’s vast experience stems from being the director of public affairs for Merck and Co. At Merck and Co., Arthur dealt in public relations and communications with most of his campaigns set all over the world in places like Europa, Asia, Africa and Latin America. In his early days, Arthur was solely responsible for popularising a certain cut and choose Christmas tree sales company. His efforts brought them such prominence that they were featured in esteemed publications such as the Financial Times, New York Daily News and the New Jersey Star Ledger. With his extensive experience, Arthur joined the top 1% in terms of Real Estate agents at Coldwell Banker. Manuel Rosa is a reputed name in the realtor industry for the past 18 years. Obtaining her real estate license straight after completing her high school education, Manuel was the young blood in the real estate industry. But her real estate roots actually trace back even further seeing as both her parents were in the real estate business as well. Her father was the founder of Rosa Agency which spans back to 1976. Manuel specializes mostly in the sales of New Construction, representing both buyers and sellers on hundreds of new homes over the past 10 years and also developed homes herself. Natalie Miniard has been a Real Estate Professional in one of the most adversely competitive markets in the country. 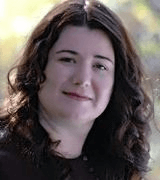 Dabbling in the career of Real Estate since the year 2002, she has moved from strength to strength as a real estate agent in the New Jersey area. Her beginnings as a realtor stem from her first company in Liberty Realty in Jersey City. She rose as a leading salesperson and caught the eye of the marketing directors in 2006. She was soon poised to handle large-scale sales projects with one of the top developers in New Jersey. Natalie honed in on her raw talent and was awarded ‘Rookie of the Year’ for the year 2017 by the Managing Directors. She went on to achieve high praise and recognition from the industry including nominations for Sales Person of the Year at the NJ Builders Association SAM Awards for the year 2007 and 2008. Natalie work ethic is consistent, she has been a member of the “Million Dollar Club” since 2007 when her sales topped $25 million. 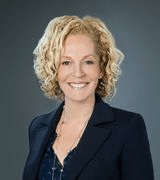 In 2012, Natalie Miniard returned to Liberty Realty LLC and formed The Miniard Group. She immediately soared to #5 agent in her office. She achieved Silver designation in the Circle of Excellence in 2012 & 2013. 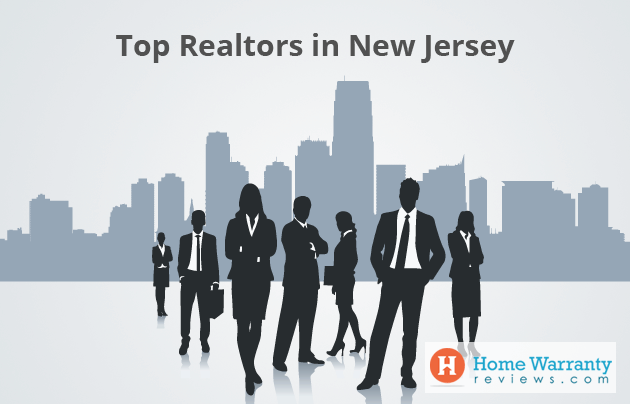 Her team has continued to excel in one of New Jersey’s hottest real estate markets. Natalie leads by example and motivation. Single-handedly, she has achieved record sales while helping her team accomplish the same. In June of 2014, Natalie opened JCity Realty, LLC with a partner and took it to one of the top 10 agencies in Hudson County. Then in late 2017, Natalie decided to open her very own agency, Dominant Properties. Pina Nazario is one realtor with a dearth of experience and is highly reputed in the highly competitive metropolitan area marketplace. Known for her impeccable negotiation skills and highly ethical practices she is a consistent top producer with acclaims and awards like Associate of the Year – Clifton Office. She’s also an e-Pro agent and Cartus Networks Referral Specialist and has a specialty in residential real estate transfers including rentals and multi-family properties. 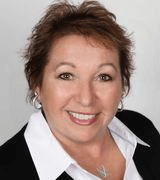 Donna Camisa is a reputed realtor who actively practices in both Toms River and the Beacher areas in Ocean County, New Jersey and in the Cape Coral/Ft. Myers area of Southwest Florida. Living in the waterfront area for several years, this dually licensed realtor associate knows the lays of the land as well as well versed with the regulations imposed after Hurricane Sandy. With that in mind, Donna specializes in mostly waterfront based properties. Donna is a graduate of the Real Estate Institute, which offers specialization for real estate professionals. She is also a Certified Distressed Property Expert, which involves being experienced in handling short sales and foreclosures. Furthermore, Donna is also an Accredited Buyers’ Representative, which implies she is exclusively only a buyer’s realtor. Before making a jump to the real estate industry, Donna enjoyed a 22-year long career in the legal profession as both a paralegal and a legal administrator. Her background in the legal industry has immensely helped her to cater to clients and guide them through the sales process. 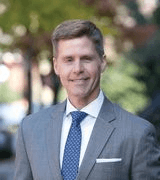 With around 14 years of real estate experience under his belt, Keith Reinhard has endured through the constant highs and lows of the real estate market. This is mostly because of his gentlemanly assistance and righteous work ethic. Keith currently is part of the Keller Williams Shore properties, New Jersey. 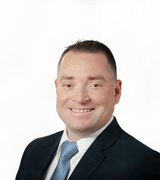 Keith has been a top agent in the New Jersey real estate market over the past several years and received many accolades like the NJAR Circle of Excellence Sales Award in 2008, 2013,2014,2015 & 2016. He was also voted a Five Star Professional and featured in New Jersey Magazine for being in the top 7% for customer service in 2014, 2015 & 2016 in the real estate field. Keith specializes in the Monmouth/Ocean Counties of New Jersey which include towns such as Brick, Point Pleasant, Point Pleasant Beach, Bayville, Spring Lake, Wall, Bay Head, Brielle, Manasquan, Sea Girt, Belmar, Toms River, etc. This is partly because he has been a native of these locales for the past 37 years. 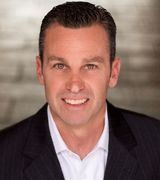 Brian Kachoogian is currently one of the top real estate agents from Gloria Nilson and Co Real Estate. Placing customer service high on his importance list, Brian has ensured both buyers and sellers happy sales in the New Jersey real estate market. Being a resident of Brick Township, he has a deep familiarity when it comes to the locals, municipalities, and schools. He uses this deep fraternization with the community to his client’s advantage. Brian knows all the tricks of the trade as he is holding a degree in Business Administration/Finance from Georgia Southern University and attended the Ocean County School of Real Estate. 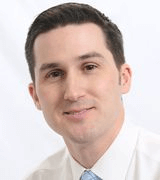 Over the years, Brian has achieved many memberships and accolades in the Real Estate Industry. He is a member of National Association of Realtors, New Jersey Association of Realtors, Monmouth County Board of Realtors Monmouth/Ocean Multiple Listing Service. Michele Klug has been awarded the NJAR Platinum Circle of Excellence Sales Award in 2011, 2012, 2013, 2014 2015 and 2016. She has been named #1 in Somerset County 2012-2016 and # 1 in Bridgewater in 2015. This is the fourteenth year in a row Michele Klug has been inducted into the Circle of Excellence by the New Jersey Association of Realtors. Named #1 in Bridgewater in 2015 and #1 in Somerset County by GSMLS in 2012, 2013, 2014, 2015 and 2016. Michele has also been awarded the Distinguished Sales Award, showing over 10 years of service in 2013, 2014, 2015 and 2016. Michele Klug is a longtime Bridgewater resident and New Jersey, native. Her diverse background, combined with her in-depth knowledge of Somerset, Morris and Hunterdon Counties and powerful network of influential community contacts, makes her a superb choice for buyers and sellers of residential properties and investment properties; clients in need of relocation assistance; and those planning tax-deferred exchanges. 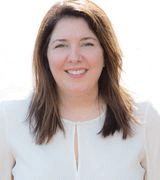 Michele’s extensive network of contacts with other top associates throughout New Jersey and across the country enables her to quickly connect with the right buyers for the properties she represents. Effective marketing is Michelle’s secret to her success. She develops a customized marketing strategy for each property which encompasses a powerful mix of elite print media, cutting-edge Internet techniques and closely targeted direct mail marketing. Michele is committed to keeping her clients well-informed on the progress of her marketing campaign for their property. ABR – Accredited Buyers Representative, REBAC – Real Estate Buyer’s Agent Council, SFR – Short Sale Foreclosure Specialist, ALC – Keller Williams Agent Leadership Council, HSAR – Hunterdon Somerset Association of Realtors, GSMLS – Garden State Multiple Listing Service, NAR – National Association of Realtors, NJAR – New Jersey Association of Realtors Platinum, Level NJ Circle of Excellence Award, and the International President’s Elite Award Distinguished Sales Award. After working in the corporate world for many years at blue chip companies like JP Morgan and Microsoft, as well as running his own business for over 12 years, Darden Moorefield is doing what he truly loves, and that comes through in the way he treats his customers. As a real estate agent, Darden is super-responsive, honest, and gives the highest level of customer service throughout every step of the process. 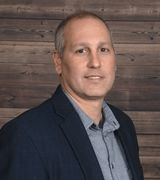 Local Knowledge – Darden has been living and working in Jersey City for over 16 years and knows the area extremely well and can make recommendations based on his extensive knowledge of the housing industry. He is also very involved in the community as the elected committeeman in his voting district and is an active volunteer for the local council person in the New Jersey Area. In terms of staging, he designed and decorated his own brownstone and other properties. Darden can help you present your home in the best possible way. He has a firm understanding in terms of knowledge on construction. Darden has previously held a contractor’s license and has worked for first hand on many construction projects, so he can very well help you determine what’s well constructed and what’s not, as well as give you ideas of what renovations would cost for a property. Being a resident he has seen just about every building go up in the last 16 years and can give you an insight into the quality of those buildings. Jill Biggs leads the top-producing real estate team in Hudson County, New Jersey. This is a booming market located just outside of New York City. With more than a decade of experience serving Hoboken, Jersey City, and surrounding areas, The Jill Biggs Group offers comprehensive knowledge of local communities, unparalleled customer service and proven marketing strategies. Biggs has assembled a sales team that shares her ethos for highly personalized representation. They’ve earned a reputation for exceptional business savvy, unmatched attention to every detail, and a laser-like focus and commitment to the success of every client. They have also been recognized by The Wall Street Journal as a top real estate team in the United States in the annual Real Trends Top 1000. 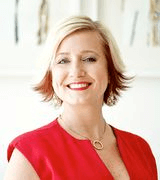 Last year alone, the Jill Biggs Group closed over $122 million in sales and helped more than 300 families buy or sell a home, proving that they are an indomitable force in the real estate industry. 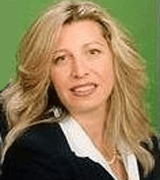 Carla has over two decades of experience in the marketing, sale, and rental of New Jersey Waterfront properties. In 2016, she did over $33 million in real estate transactions. She achieved the highest NJ Sales Club award which has only 42 members in Hudson County and achieved the platinum level. In addition to being a resident of the New Jersey Waterfront, she has helped hundreds of area residents find the home of their dreams. The Gold Coast has grown over the past several years and Carla has been a part of it. Carla is currently a member of the Jersey City Task Force for Real Estate. Carla also earned her Home Staging Expert Certification in 2016. Other flash-in-the-pan realtors have come and gone over the years, but Carla’s longstanding professionalism and commitment to the waterfront area’s growth make her and her team the best choice for a truly wise buyer, seller or renter. 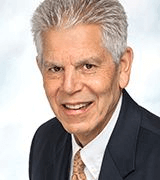 Working out of a family owned and operated Real Estate Company established in 1962, Vito Del Forno has been immersed in the world of real estate his entire life. 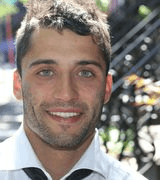 After graduating from the University of Arizona, Vito moved home to Jersey City to pursue his real estate career. He is now a seasoned Jersey City realtor dedicated to his client’s needs, his family’s business and the revitalization of Jersey City as a whole. Vito Del Forno is a five-star real estate agent. Clients who have worked with Vito recommend him and will attest that he is helpful, knowledgeable and very responsive. Maria Batista has been helping buyers, sellers and renters with all of their real estate need for the past 23 years. She is dedicated to understanding her customers’ individual needs and providing them with exceptional real estate experiences. She puts each unique customer at the center of the process, delivering superior service with insight, innovation, and integrity. As the Broker of Record for Integrated Real Estate Resources, she has the experience and know-how of how to sell or rent a home through marketing and public relation efforts. She is known for her expertise in marketing, negotiating the sale and keeping on top of all of the little details that bring a client’s’ transaction to a successful close. Maria has taken her career one step further by becoming an accredited Stager. She has the knowledge to help sellers get their home staged (ready for showings) in the best possible way to not only help them sell it quicker but for more money. Maria continues to educate herself and hone her skills in order to provide the highest level of professionalism to her customers and clients. As a seasoned real estate professional in New Jersey and now New York, Darrell works with many high profile clients as well as international investors helping them to sell and buy their properties. He prides himself on his customer’s service, local market knowledge, and friendly attitude. Every Real estate transaction is different and being available to answer his clients call at all hours is of the utmost importance to him. Darrell is also a Disabled Veteran and served in the US Navy during many different military conflicts in the 1990’s. He also was a Firefighter for over 23 years working around the United States as a Federal and Navy Firefighter and he has volunteered countless hours for his local Volunteer Fire Departments. After helping people in the fire service for so long, Darrell obtained his real estate license in 2010 and began helping many first-time buyers and homeowners with their real estate transactions. He stands by his reviews and goes out of his way to make sure your next real estate transaction goes as smooth as possible. Now that you know who’s the best of the best in New Jersey Real Estate, let’s talk about something that most homeowners have on the back of their mind. How much would you have to spend on your mortgage, or second mortgage even? Well to make things easier, you can always try out this mortgage calculator. To use this mortgage calculator just add in the loan amount, the percent of interest and the loan term in order to calculate how much you’d be spending on your mortgage. Another necessary measure you need to take for your home is to invest in a home warranty. Why? 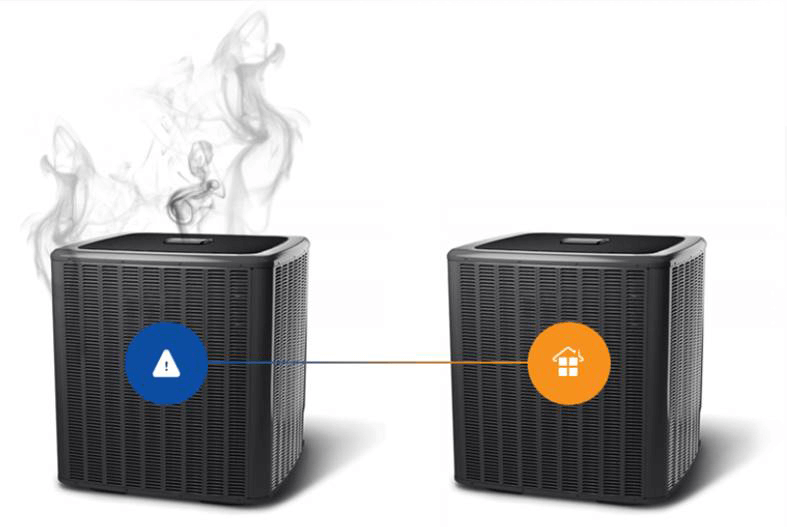 Because over time, your appliances and utilities begin to wane, and when that leads to burning a hole in your wallet trying to fix them all. Instead of having to deal with repairs and maintenance individually, you could just pay a relatively small sum of money up front and be insured for a whole year. Now you must be thinking, what’s the best home warranty service for me? The answer to that question is at HomeWarrantyReviews.com. 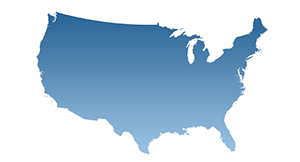 This has a detailed archive of all the top home warranty companies in America. 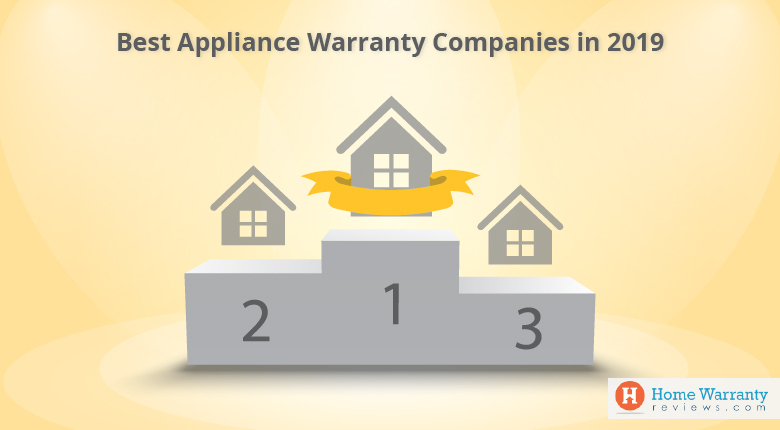 Every home warranty company is presented with its features, price, and areas it caters to along with a rating timeline. This rating timeline visually explains to you how the home warranty company has been faring for the past five years in the eyes of the public. All the ratings and reviews on Homewarrantyreviews.com are a transparent view of the company. All reviews and opinions of the companies listed are from actual users and homeowners. 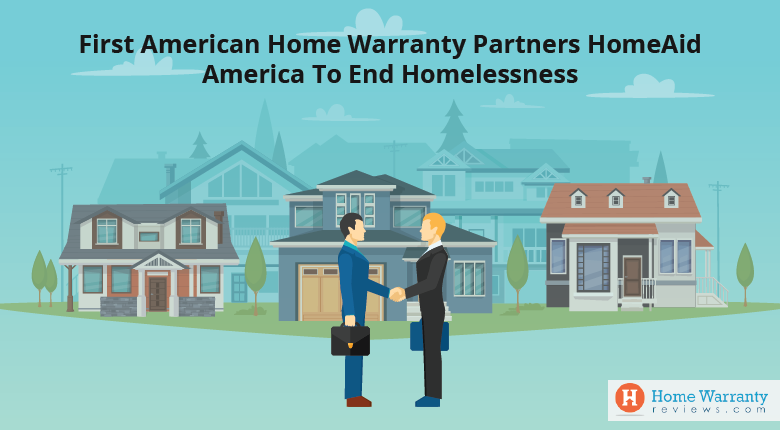 Once you are satisfied with the home warranty service you want, you can simply request for a quotation and let the respective home warranty company get in touch with you.